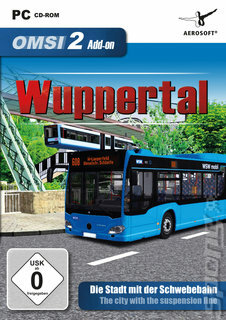 On the road in Wuppertal: With the new OMSI 2 Add-on Wuppertal you now have the opportunity to discover the "large green city" with lots of realistically modelled buildings along 21 km of route. As a special highlight, this add-on also includes the landmark of Wuppertal - the suspension railway. Along the drivable route you can discover the city from above, as well.